How to apply change price right ? This right is for price change via swipe item. 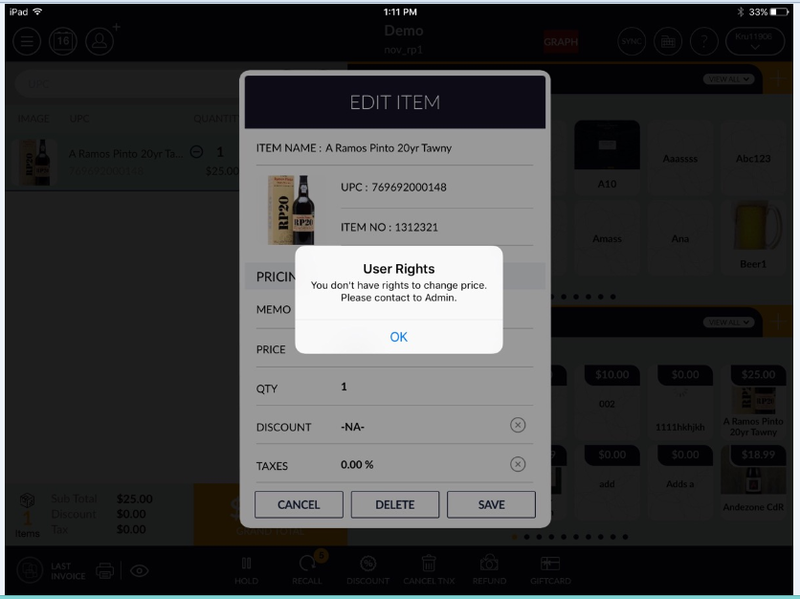 Setting -> staff -> user list -> open user in edit mode -> open user rights tab -> POS rights -> Cash register right -> change price. 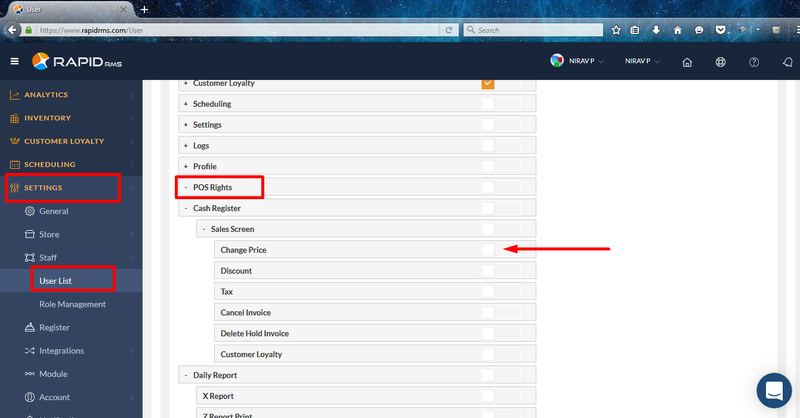 When this right is enable then user is allowed to change price of ring up item. When change price is disable then user is not allow to change price of ring up item by swiping.